YES ONLY 43000 MILES SINCE NEW, THIS CAR HAS ONLY HAD 3 FORMER KEEPER SINCE NEW AND IT HAS BEEN LOVED BY EACH OF THEM. YOU WILL STRUGGLE TO FIND ANOTHER THIS GOOD. LOVELY EXAMPLE WITH FULL SERVICE HISTORY. FULL BLACK PART LEATHER TRIM, 19" ALLOY WHEELS. THIS CAR HAS SOME VERY SUBTLE MODIFICATIONS INCLUDING A FULL STAINLESS STEEL TURBO BACK EXHAUST, SPORTS CAT, HARD PIPE INDUCTION WITH A K AND N PANEL FILTER, AIRTEC FRONT MOUNT INTERCOOLER, SLIGHTLY EIBACH LOWERED SUSPENSION. VIEWING REALLY IS HIGHLY RECOMMENDED. THIS CAR DRIVES BETTER THAN IT DID WHEN IT LEFT THE FACTORY. TWO KEYS, FULL BOOK PACK, FULL SERVICE HISTORY. THIS CAR WILL ONLY GO UP IN VALUE IF KEPT IN THE SAME PRISTINE CONDITION, A GENUINE FUTURE CLASSIC. Interested in a sporty hatchback like the Vauxhall Corsa? Keen to get behind the wheel of a rugged crossover such as the Vauxhall Mokka? Come to Calder Motor Co Ltd today and you'll be able to choose from a fantastic selection of quality used Vauxhall cars, all of which come fully inspected and ready to drive away. As a leading supplier of pre-owned vehicles you can rest assured that we'll do everything possible to help you find the perfect car to suit your lifestyle and budget. 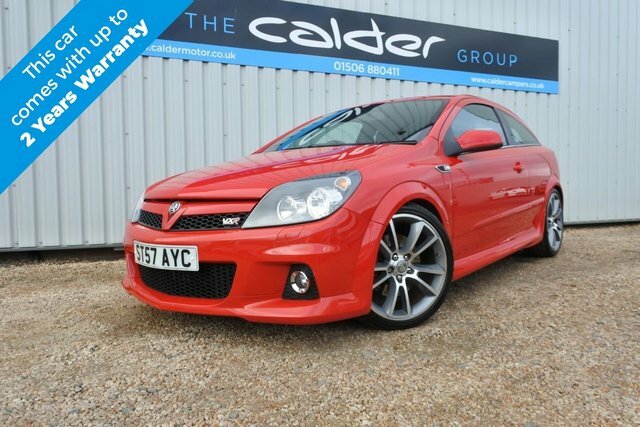 View our latest deals on used Vauxhall cars for sale in West Lothian here on the website, and remember to contact a member of our showroom team to find out more and arrange a test drive.